Noticing a hole in a tooth can be a scary experience, but it’s likely something that a dentist can fix. What should you know if there’s a hole in your tooth? First and foremost, you need to take it seriously. It’s possible to fix a hole, but you can’t neglect it. A hole could be a sign of more serious dental problems that before you know, it could affect other teeth and your overall dental health. 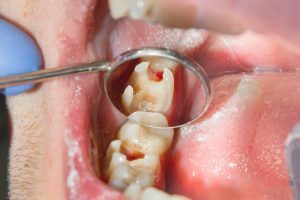 What Causes a Hole in Tooth? The most common reason a hole develops in a tooth is because of poor dental health. This means you not only skip bi-annual dental appointments, but also neglect your dental health at home. An unhealthy diet also increases your odds of developing a hole in your tooth. The higher sugar foods you eat,the more likely you are to wear down your tooth enamel and end up with soft teeth and/or a hole. To learn more about a diet that is good for your teeth, check out this article about diet and oral health. In the majority of cases, holes in teeth are caused by cavities or tooth decay. Cavities are often thought of as painful, but this isn’t always the case. It’s possible to have a cavity and not even realize it until the damage it’s doing to your dental health becomes visible. In addition to grayness or darkening of the tooth affected, a hole can also develop. “Aside from cavities, there are several reasons why a hole in a tooth might develop. A filling may have come out, part of the tooth may have broken, or a crater-like hole on a tooth may be formed from excessive grinding or clenching of the teeth. How can you have a hole in your tooth without pain? It makes sense to assume that any hole that develops in your body that you weren’t born with would be painful, at least initially after it develops. This isn’t always the case with teeth. Sometimes cavities that cause holes don’t cause pain. It all depends on their location. Cavities begin on the enamel or outer layer of the tooth where there are no nerves. It isn’t until the erosion gets deeper that the nerve is affected, and pain becomes an issue. The earlier you deal with a cavity,the less risk you’ll have for pain and the less noticeable the cavity will be. 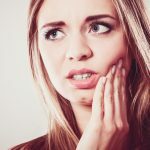 Unfortunately, some people don’t realize there is a problem with their tooth until they are experiencing pain or until a hole develops because of the decay. Chances are if you have a hole without pain, the pain will arise in a matter of time. Though it is possible the decay will never move inward far enough to cause pain. 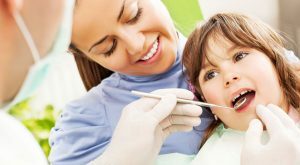 Don’t assume a cavity doesn’t need fixing if there’s no pain – it does,and if you skip fixing it, you’ll damage your other teeth and the root of the tooth. How Do I Treat a Hole in My Tooth? Root canals are a common treatment for holes in teeth. Root canals are done when decay has burrowed deep enough that it has reached the pulp of the tooth. A root canal medicates the infection and repairs the hole, so no more bacteria can get into it. Dental fillings are another common option for dealing with holes in teeth. Dentists give local anesthesia and use a drill to remove any bacteria and decay that has accumulated I the hole in a tooth. Once the tooth is cleaned, a filling is shaped and placed into the tooth to protect the pulp and repair the hole. Removing a tooth is the most extreme way to deal with a problem, including a hole in the tooth. This occurs when the decay in the tooth has damaged it so much that it can’t be fixed. Dentists prefer not to use extraction unless absolutely necessary because it can affect overall dental health. The teeth that remain in the mouth after extraction tend to shift and to keep them in place you’ll need to get a bridge or false teeth. To read more about dental bridges, check out this information from Colgate. What Happens When I Visit the Dentist for a Hole in Tooth? If you visit the dentist because a hole has developed in your tooth, your appointment will begin with a general examination. X-rays will be used to see if the decay has reached the nerve, though you’ll probably know this is the case because you’ll experience tooth pain. Some dentists use cold cotton swabs to see if the tooth is sensitive to temperature. 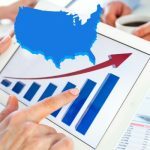 This helps him or her determine what course of treatment to pursue. Additionally, your dentist will look for signs of infection. If there is the presence of an infection – pain, swelling, inflammation – you’ll probably be given medication. Topical medication might be used during the appointment,and you might be sent home with a prescription for an antibiotic. 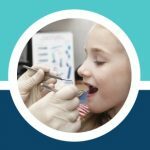 What Complications are Associated with Holes in Teeth? If you’ve developed a hole in your tooth, there might be other dental issues that also need to be treated. For instance, it’s common for someone with a damaged tooth to also have gingivitis or gum disease, receding gums, and abscesses. 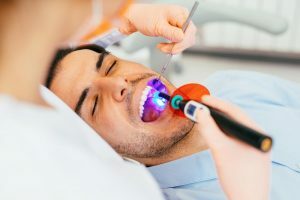 These issues can be a sign of a serious dental health problem, and you’ll not only receive assistance with the hole in your tooth, but you’ll also likely be given in-office and at-home treatments for relieving the problem. How to Prevent a Hole in Tooth? It’s possible to prevent a hole in your tooth from forming in most cases. Good dental hygiene is the best way to keep bacteria under control and prevent decay from occurring. Start by brushing and flossing on a regular basis. You should be brushing your teeth at least one time per day and preferably after each meal. Floss one time per day, preferably before bed,so you aren’t sleeping while bacteria is left to damage your teeth. 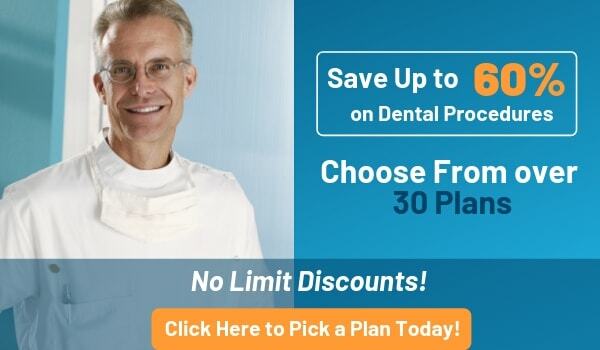 Finally, make sure you keep up with twice a year dental cleanings. 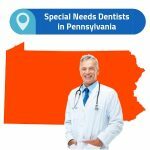 For more information about finding a dentist in your area, check out this article from WebMD. Some dentists will even agree to see you more often if your teeth are causing your problems or if you are prone to tartar buildup that can damage your teeth and gums. Seeing your dentist at least two times per year means that problems will not get too bad before they are identified.